Explore the restored Pendarvis House restaurant that was once name as a top seven restaurant in the country by the Saturday Evening Post and featured in Gourmet, Life, and National Geographic magazines.  Walk through homes built before Wisconsin became a state, which were saved in one of the earliest preservation efforts. Hike the 43 acre Merry Christmas Mine Hill to see remnants of lead and zinc mining and one of the largest restored prairies in WI.